Clinton Bezuidenhout headed up the Signature Motorsport team’s results in a fiercely contested second round of the 2019 Falken Polo Cup at Zwartkops Raceway on April 5-6. 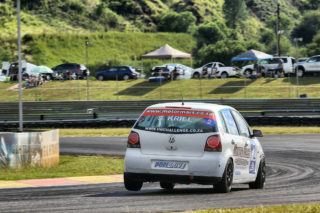 A host of early incidents saw Chris and Matt Shorter as well as Altan Bouw having to dig deep to record good results in Saturday’s qualifying session and three races. Another factor that the team had to contend with was Saturday’s dry and sunny conditions being a complete contrast to Friday’s severely rain experienced during the 30-minute second practice session; a session being primarily used by competitors to fine-tune their race day setup. 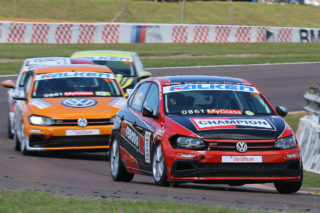 Bezuidenhout (#38 Glyco Engine Expertise Volkswagen Polo) was the seventh-fastest driver during Qualifying, narrowly missing out on the Superpole Shootout in a session that saw the top 17 being covered by one second. The exclusion of another competitor saw him slotting onto the sixth grid spot from where he moved into second place into the first corner. Accidents further back resulted in the race being stopped after four laps. The restart saw him holding onto second place during the sprint for the finish. A Push-to-Pass problem saw him losing out to Jason Campos in the second race but adding another podium result after finishing third. 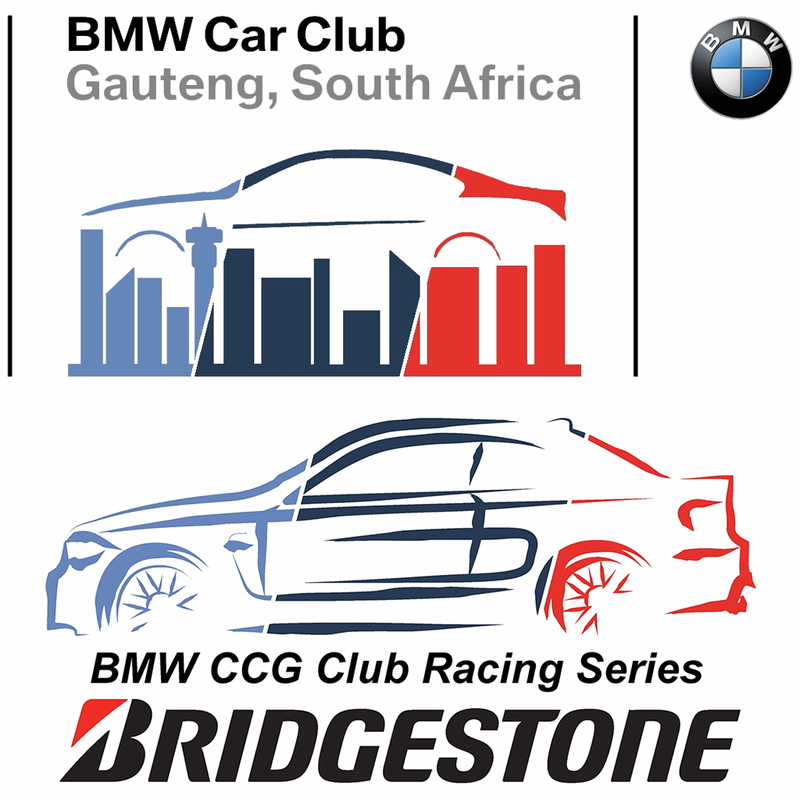 Starting in fourth place in Race 3, Bezuidenhout quickly progressed to third in the running order. An incident resulted in him losing two positions to finish fifth. The day’s overall classification based on accumulated race times saw him ranked in second place. 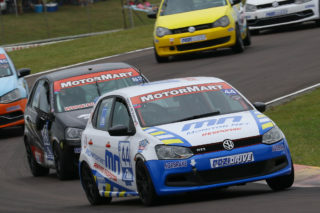 Chris Shorter (#33 AE Engine Expertise Volkswagen Polo) made small mistakes on both his flying lap attempts in Qualifying which saw him starting from eighth place on the grid. The first race saw him finishing in sixth place and setting the seventh-fastest lap to improve his grid position for the Race 2. 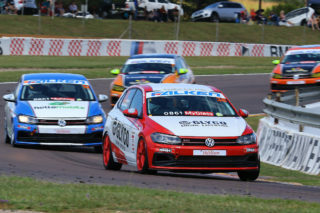 Saving his Push-to-Pass allocation for the closing stages of Race 2, Shorter progressed to fourth place by picking off Jurie Swart, Brad Liebenberg and Jonathan Mogotsi during the final three laps. The day’s final race saw Shorter taking the wrong line at crucial points, but still taking home a ninth-place finish. He ranked in sixth place in the overall classification. 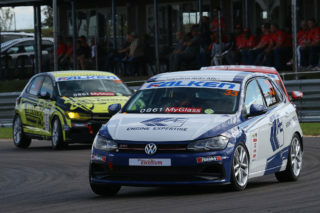 Altan Bouw (Champion / Ferodo Volkswagen Polo) also made a mistake in Qualifying which saw him take to the Race 1 grid in 14th position. 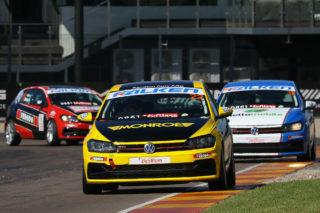 While finding himself at the centre of all the action, a level-headed performance returned an eighth-place finish in Race 1. 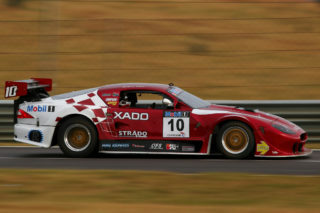 In both the remaining races he finished in 11th position while competing in fierce midfield battles. Bouw ranked 11th in the overall classification. 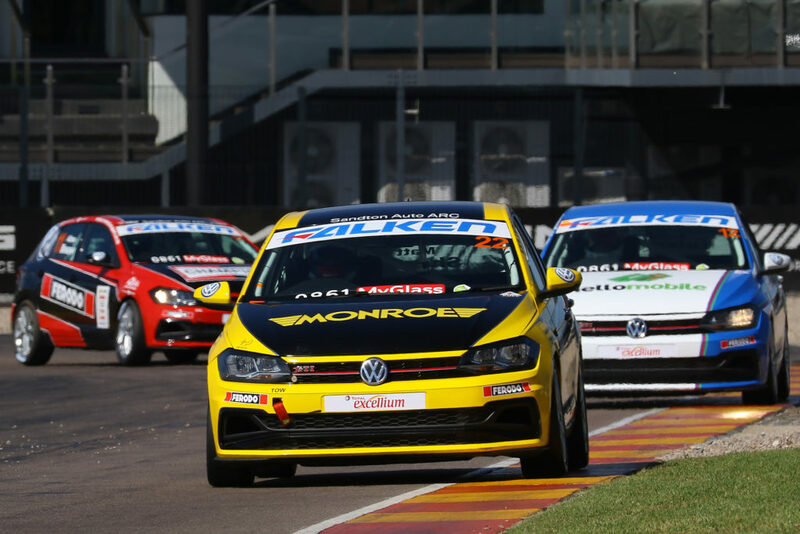 For Matt Shorter (#22 Monroe Volkswagen Polo) it was a solid start with fifth place in Qualifying as well as the Superpole Shootout. 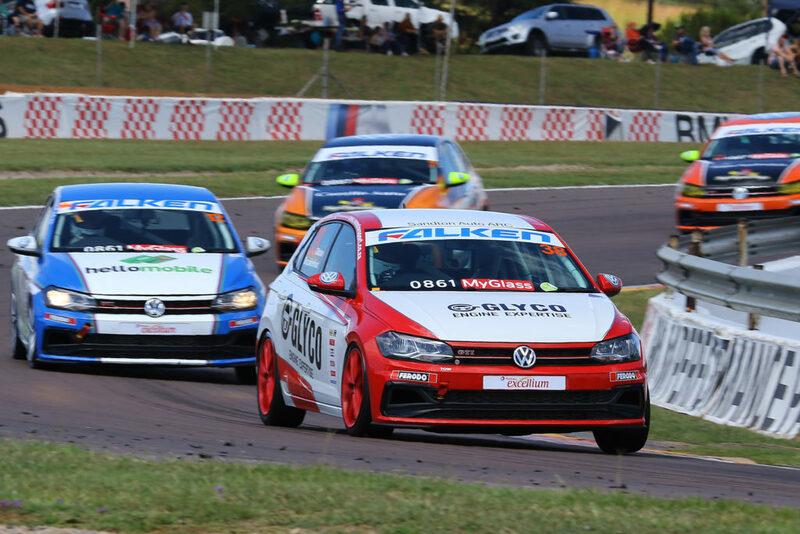 The revised grid brought on even better fortune with him slotting into fourth place but While running just behind the front group in Race 1, he was involved in an incident which relegated him to the back of the pack and an eventual 18th place finish. Race 2 saw him improve to 12th place while moving up to eighth place in the final race. His effort for the day ranked him in 13th position overall. 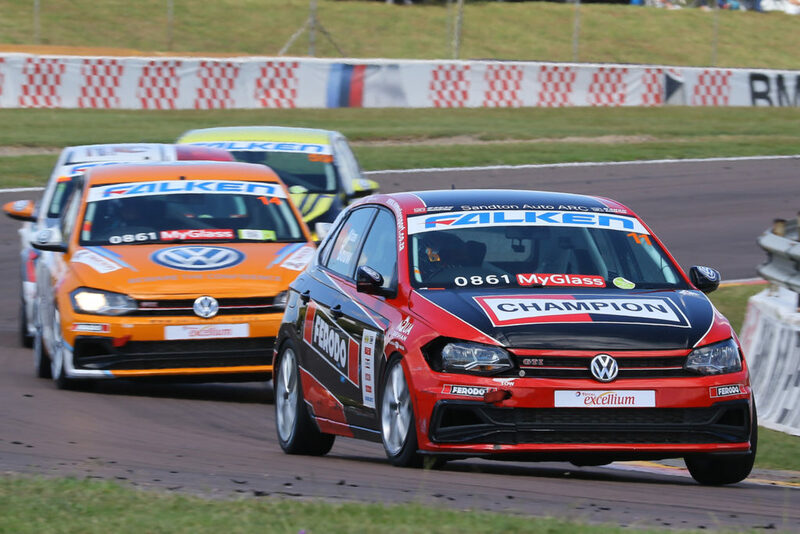 Round 3 of the 2019 Falken Polo Cup will take place at the Killarney International Raceway in Cape Town on May 10-11.